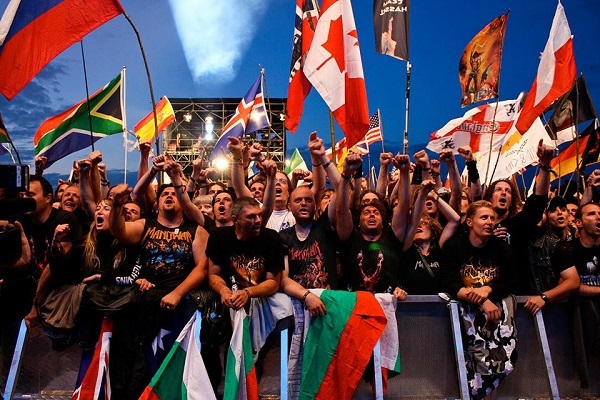 MANOWAR invite their worldwide fans, the „Army Of Immortals“, to be a part of the 25th anniversary of “Kings Of Metal”. In celebration of the anniversary, MANOWAR will release a brand new special version of the album, “Kings Of Metal MMXIV”, that will feature additional bonus tracks and bonus material among many other surprises. And MANOWAR want their fans to become an immortal part of this special celebration! Among all submissions MANOWAR will raffle away 25 surprise merchandise packages from The Kingdom Of Steel, the only authorized store for official MANOWAR merchandise! A once-in-a-lifetime opportunity for Manowarriors worldwide to join MANOWAR and “Kings Of Metal MMXIV”!